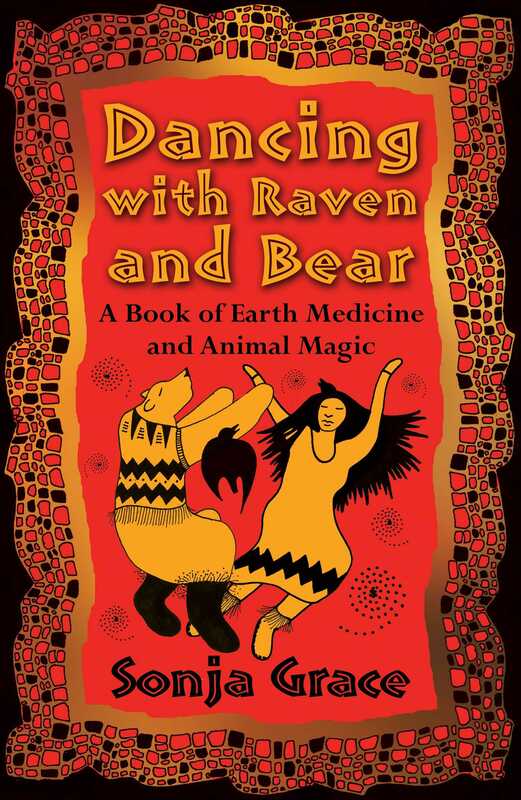 Drawing on both her Native American (Hopi) heritage and her Norwegian upbringing, renowned mystic and intuitive healer Sonja Grace shares original wisdom tales, received through her heart and soul, to take you on a journey into the magic of Raven and Bear and the healing power of Earth Medicine. Featuring Sonja’s distinctive and beautiful artwork, each story is embedded with ancient teachings to inspire you to live closer to the Earth. The fables include powerful examples of animal magic and everyday, practical applications of Earth Medicine, such as simple energy exercises, dream interpretations, Earth Medicine prayers and meditations, and using medicinal plants to manage negative energies. As background to the stories, Sonja reveals parallels between Norse mythology and Native American traditions and explores the symbology of animals and the recurring central theme of the tension between light and darkness. In Norse myth, the great god Odin, for instance, is often accompanied by Ravens. These birds are considered manifestations of the Valkyries, the goddesses who brought brave soldiers to Valhalla, while in Native American traditions, the Raven is viewed as a trickster or messenger, a magical creature with the ability to shapeshift into a human or animal, yet also portrayed as a hero overcoming adversity. The Bear on the other hand can embody the healer who grounds our energy and removes illness or can represent the inner part of us that has faith. In one fable, Sonja brings Bear to life as a mythical creature singing songs to bring in the light, reflecting the powerful lesson that by using our voice and speaking the truth we can hold darkness at bay. Throughout all of the stories, Raven and Bear teach us to be responsible for our actions and develop spiritual accountability. By sharing these tales of Earth Medicine, Sonja offers not only a path of reconnection with the Earth but also medicine for the soul. She shows how the Earth works in unity within herself and provides a warehouse of knowledge for all who live upon her. "The earth holds powerful healing energies. Animal Magic is meant to bring those into the awareness of those of us who are currently inhabiting the earth plane so that we can reconnect with Earth Medicine. This is a magical book which hugs readers like the bear to remind us of the joy of life in its pure form, and then removes the layers of misguided conceptions so that we can fly free with raven."